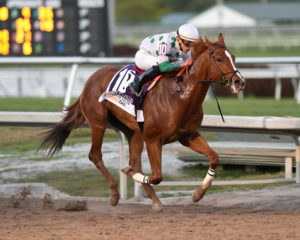 The Stoll Keenon Ogden Phoenix Stakes (GII), a six-furlong test which secures a spot in the gate for the Nov. 3 Breeders’ Cup Sprint (GI), takes place at Keeneland on Friday. 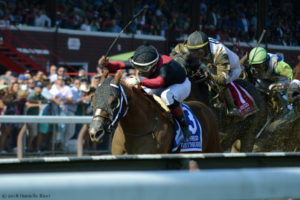 The two headliners are Whitmore and Limousine Liberal, who have previously qualified for the World Championships by virtue of their victories in the Forego Stakes (GI) and Belmont Sprint Championship (GII), respectively. Whitmore’s Forego win secures him a spot in the Dirt Mile, however, so his connections are surely hoping he’ll earn a spot for the Sprint with a victory here. 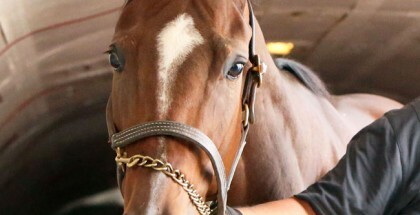 Five-year-old Whitmore, who is trained by Ron Moquett (who also owns a share of the horse, along with Robert LaPenta and Head of Plains Partners), seeks to become the seventh runner to win this race in consecutive years after having emerged victorious a year ago. Additionally, Work All Week (2014) and Runhappy (2015) are the only two Phoenix Stakes winners to have gone on to win the Breeders’ Cup Sprint, though Wise Dan won this race in 2010 before going on to win two editions of the Breeders’ Cup Mile (GIT) in 2012 and 2013. Whitmore has an impressive record at the distance (12-9-1-1), which is only slightly better than Limousine Liberal’s (11-3-4-2). Both have wins on off tracks, too. Ricardo Santana Jr. has the call on Whitmore once again and the two will break from post position two. 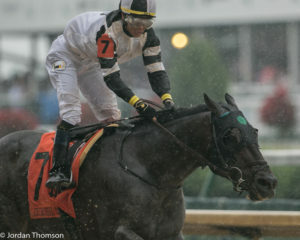 Katherine Ball’s Limousine Liberal, who is trained by Ben Colebrook, won the Churchill Downs Stakes (GII) over a sloppy track on Kentucky Derby Day while with Whitmore 3 ¼ lengths back in fourth that day. The 6-year-old son of Successful Appeal then won the Belmont Sprint before finishing third behind Whitmore in the Forego last out on Aug. 25. Jose Ortiz rides Limousine Liberal, who drew post position four. Aside from the two already set to race under the Twin Spires in a month, four others will attempt to become the third Phoenix winner in history to go on and win the Breeders’ Cup. The top threat to the top two is Robert Baron’s 3-year-old Promises Fulfilled, who carries a two-race graded stakes-winning streak — in the Amsterdam Stakes (GIII) and H. Allen Jerkens Stakes — into his first start against older horses. 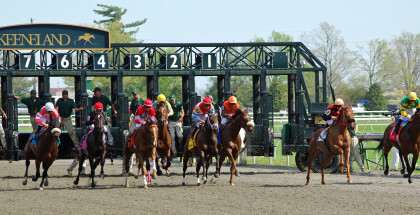 Luis Saez has the mount and it’s a good bet the pair will be gunning for the front from their innermost post position. The field for the Stoll Keenon Ogden Phoenix, with riders, weights and morning line odds, from the rail out is: Promises Fulfilled (Saez, 122), 8-5; Whitmore (Santana Jr., 124), 9-5; Distinctive B (Florent Geroux, 120), 15-1; Limousine Liberal (Ortiz, 122), 2-1; Heartwood (T.D. Houghton, 120), 15-1; and Dalmore (Albin Jimenez, 120), 15-1. 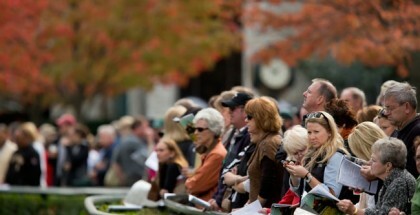 The Stoll Keenon Ogden Phoenix will go as the eighth race on Friday’s 10-race program with a 4:57 p.m. ET post time.